I had every intention of writing a new blog every Friday. Yes, I know it’s Monday. I was in the clutches of an epic cold. The only way I can describe this sucker is it was the Rock Star of all colds. He looked at me, threw me into bed, and didn’t let me emerge for the rest of the day sweaty and weak. Was he done with me? 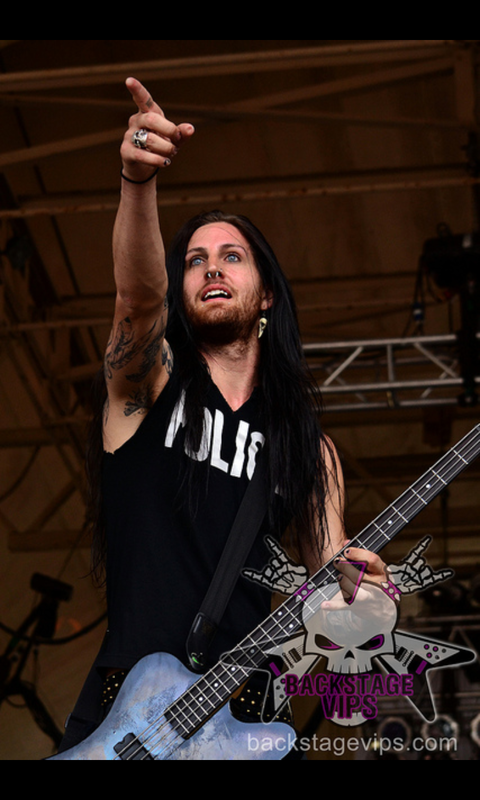 Oh, hell no not this Rock Star. He pulled me back into bed days afterwards for a quickie (most people call them naps.) He discarded me just as quickly as he took me. Being the stellar guy he was he left me with a lingering cough (the colds equivalent of an STD.) I am hopeful a couple shots of NyQuil will fix me from my indiscretions. I should explain that I no longer watch the news. Making my perspective of people skewed, or maybe not. I live in a naive bubble where unicorns fart rainbows out of their glittered asses, and people want others to be happy. Don’t burst my bubble. I have my jaded moments, I have lived with a monster, but I refuse to let that ruin my rose tented glasses. The news is not conducive to my lens making the rose tent look warped. I’ve had people tell me I am ignorant and blind by not acknowledging the world’s problems. They are right. Watching the news didn’t make me feel empowered to change the world for the better it made me feel overwhelmed and helpless. Since that wasn’t helping the world, or me I stopped. My news now comes in the form of the nakeds. I also receive my movie reviews, and weather reports. How much I take their information to heart obviously depends on the naked on my bed. Last Saturday I had two clients bring me gifts for no reason except they wanted to. It made my heart happy. 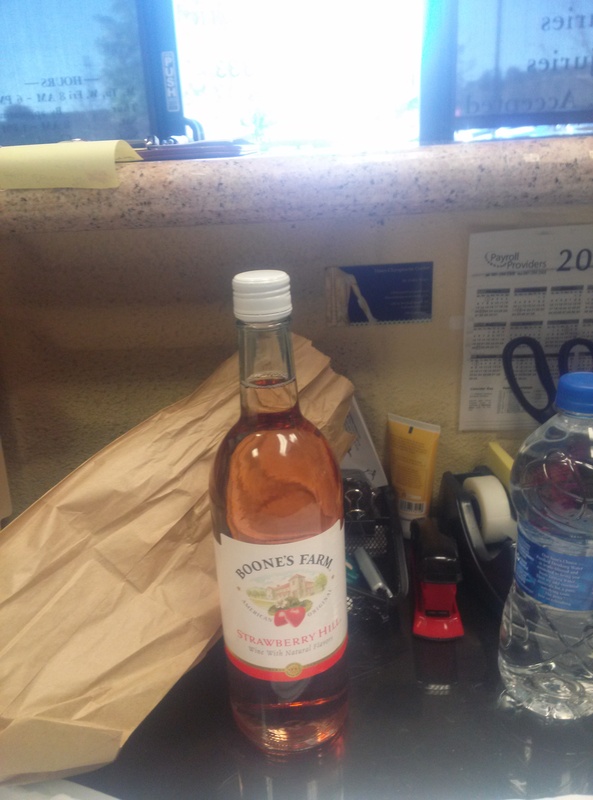 The first a paper bag containing a bottle of Boone’s Farm. Yes, I totally just threw you back into your teenage rebel years. You’re welcome. My client and I were talking about Boone’s Farm before Christmas. I was laughing remembering my first and only experience with the stuff. I was a sophomore in High School. My friend Michelle and I went to her house, and her boyfriend and his older hotter brother (not sure if he was cute, or it was the Boone’s talking) procured a bottle of Boone’s and a bottle of Old English (OE) I really didn’t like to bend the rules when I was younger. I was more of a rule polisher. Not wanting to look like a complete fool (we all know the only way to get rid of peer pressure is to give in. KIDDiNG) I took a couple sips of OE (yuck. I think my insides are still boiling from those couple of sips) and some of the Boone’s. My lightweight status was put to the test, and after a while I was telling a certain older brother (who may or may not have the same name as the infamous unabomber) that he was adorable. (SMH. Even drunk my awkwardness penetrated my flirting.) When my client came in and handed me the bottle of awkward memories I couldn’t stop laughing. My next client came in telling me she had a present for me. I don’t know what was with that day. Maybe the moon was in retrograde or Jupiter got a hold of a bottle of Boone’s. I wasn’t going to question it. My client had bought us tickets to go see Fifty Shades of Gray next Friday . I’m not a fan of pain with my pleasure. Some spanking, and hair tugging is all you are going to get away with before I kick the crap out of you. The book wasn’t really my style. Being how many people have read it, and the numerous books that cover the same subject I’m in the minority. This wouldn’t be the first time. I am not mocking E.L. James. Really good for her. She found a niche and blew that sucker like a candy flavored uhmmm…yeah. She wrote something and people bought it. I have recommended it to many clients who I knew would enjoy it. I am a firm believer that everyone’s art has an admirer, and even if I am not into it doesn’t mean I have any right to criticize it. I actually wrote a post about this subject. For me the pleasure pain thing brings up memories that don’t put a smile on my face. Maybe that is why I can’t enjoy the books. I don’t want to assume people that enjoy these books have never been in a violent relationship maybe they are trying to take the power back by allowing people to hurt them on their terms, I’m not sure. For me I cringed every time flesh collided with flesh. We will see how I feel about the movie. Enough of my weird thoughts on Fifty Shades. The convoluted message of this post is that there are good people. People who don’t have an agenda, but actually want you to succeed. These are my favorite people, and my favorite stories to listen to. I am very lucky to have clients, and friends who have endless stories that put a smile on my face. keep your rose tinted glasses firmly in place. It makes it easier to spot the glitter. Well, your smiling picture always makes me happy. All The Wrong Places by Rebecca Fisher Giveaway!!!!! !